Sowilo (Sowilu) is the half-month stave through 27 February. Uruz is the intuitive stave, and Fehu indicates the planet’s message to us. Read right to left is Sowilo, Uruz, then Fehu. Last week we got a great close to the second aett with our first week of Sowilo. 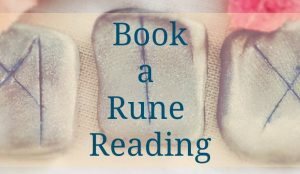 It’s such a bright, uplifting rune, though for those of us who aren’t comfortable seeing ourselves as Divine, it can cause some friction. In order to feel our own divinity, we have to have made peace with the Divine, which can be quite complicated to do. 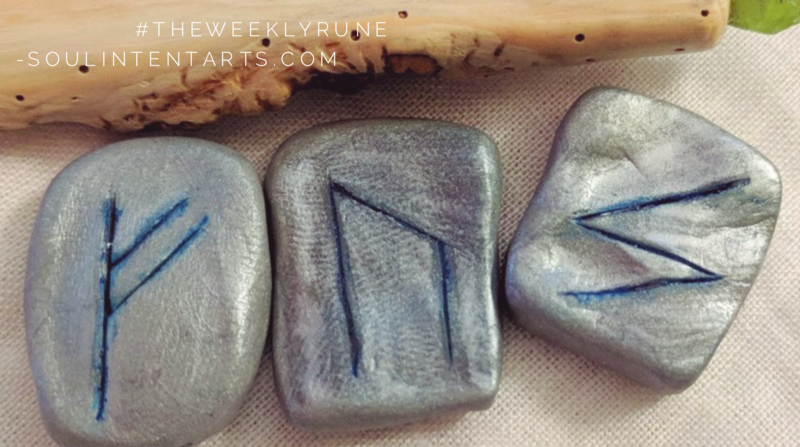 Having accomplished that, this week through the supporting runes, we’re given very grounded, personal support to put it into action. Uruz is all about body and the ability to tap into the raw unconscious and put it to use. Meaning “auroch,” it brings with it a history of primal wildness, the aspect of self that is not concerned with ego or filtered motivations. For some this is a taboo aspect, deep unconscious not constrained by cultural mores. Others see it as the unfettered, wide open self. Nature’s memo to us this week is equally coming from a power stance. Fehu is the affirmation that we are tending our resources well. Meaning “wealth,” it points to assets that must be tended, they require our attention in order to produce and stay beneficial. This placement suggests we are and have been doing so, to our benefit. It never hurts to take Fehu in a cast as an opportunity to verify our methods, to ensure that we continue nourishing our assets to our best ability. Generally speaking, though. we’re good, right now. The summary for this week’s cast is last week the elemental qualities were aligned. This week the personal ones are, which equates to #holcatszOMGs GET ON IT! We can be manifestation manufacturers right now. The guiding principle of Sowilo reminding us to pay-it-forward remains. Don’t forget the less fortunate while tearing along this jag. Listen to the body to keep it healthy for all the effort that’s capable of being expended. Allow the unconscious rumbles of creation to bubble up, then use good common sense and heart to decide which ones truly can be followed, should be followed, and how they will impact your life (and others’ lives). And finally, stand on the current assets to accomplish it. They’re solid and capable of giving the needed support. Bout damn time, isn’t it? As you solidify what your divinity means, how can you help others learn the same for themselves? How comfortable are you in dealing with your unconscious?? How do you recognize it when it speaks to you? Ooo–and don’t miss it–Tonight I’ll be on the Runes Roundtable 19 February, on Blog Talk Radio, 8pm, EST.